I am going to tackle our main bathroom this week! 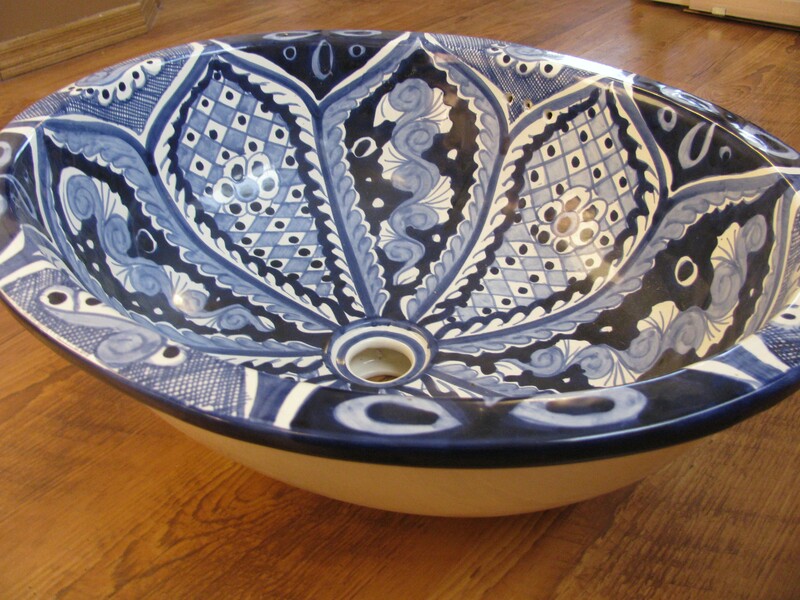 The main theme/plan is mexican inspired as I have a gorgeous blue and white sink my darling husband lugged back from our last vacation. What color should I do the walls? 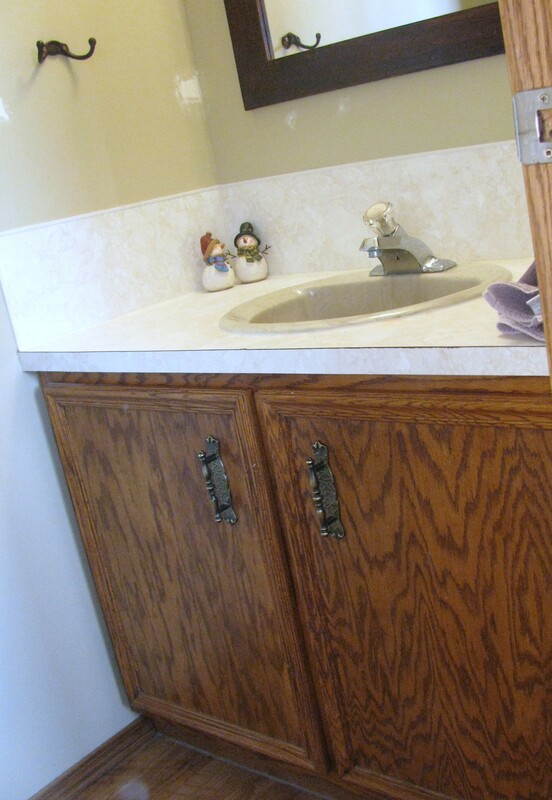 Should I paint the existing cabinet…I plan to put barn wood for the countertop. What about a light fixture? Help!! 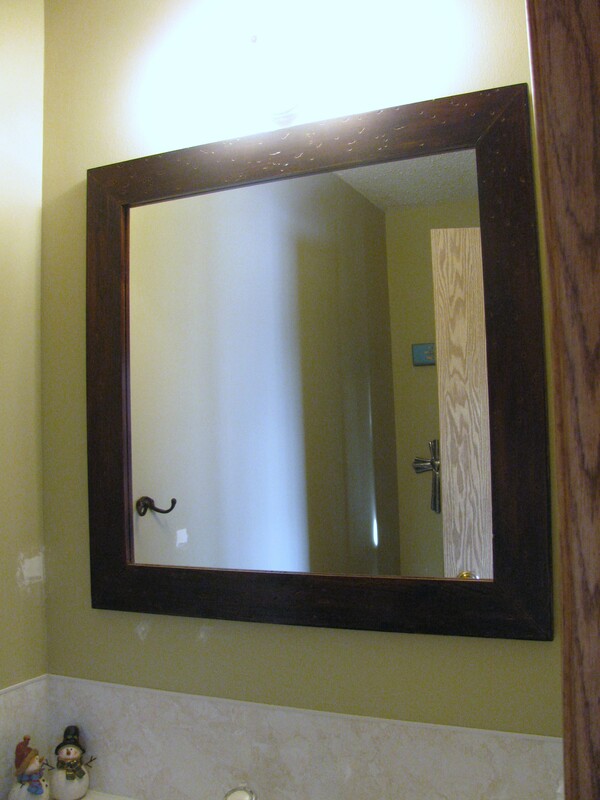 And I am keeping this mirror…should I match the barn wood countertop stain to it? Basically going for a mexican/southwestern theme….yes? no? Totally excited and nervous to put this out there…’cause this means I have to actually get my rear in gear and do it!! Oh I absolutely cannot resist a re-design comment! OK, first I would paint out both the cabinet and the mirror in a very light creamy tone and stain the barn wood countertop to match the floor. Walls, I would make a shade darker than the cabinet. This sets the backdrop for that beautiful sink to be the star. I like my light fixture finish to match the faucets finish, so if you choose chrome on one then the other should be the same (only my opinionated opinion :)). 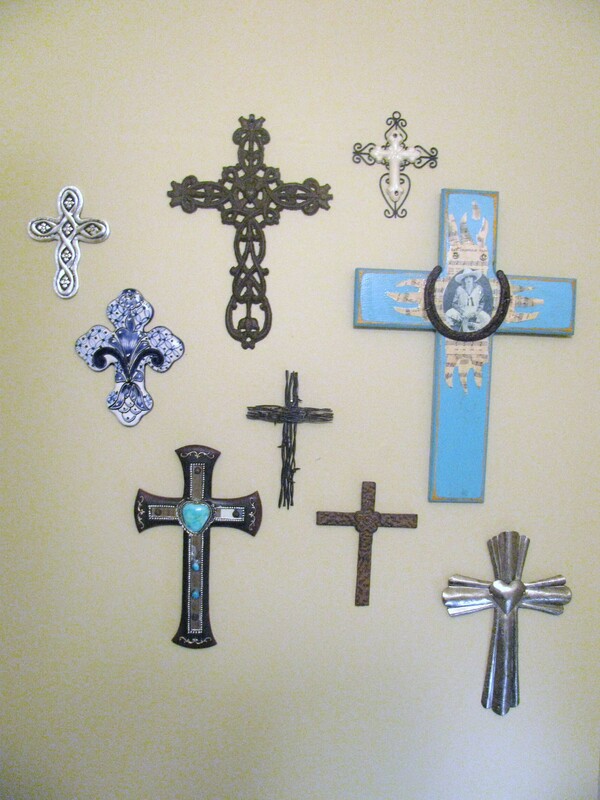 For a more southwest feel, it could be cool to do these in a burnished brown metal and keep the crosses from your collection that sport that finish in a tight pattern on the wall beside the cabinet that currently has a towel hook. If you go with those fixtures you will also find it easy to match the towel bars and cabinet hardware using hand forged pieces offered at many country decor stores etc. Whew, you’d think I was doing all that work. Have fun whatever you choose to do. I look forward to seeing the end result. Given your impeccable taste, I know it will be beautiful! You rock Suzie!! Thanks for all your input!! I can’t wait to get started….. I believe we have the same cabinets. I’m anxious to see what you do with your whole bathroom-southwestern sounds great. LOL thanks Cheyenne! I fell in love too…that’s why my darling had to haul it home! WOW! 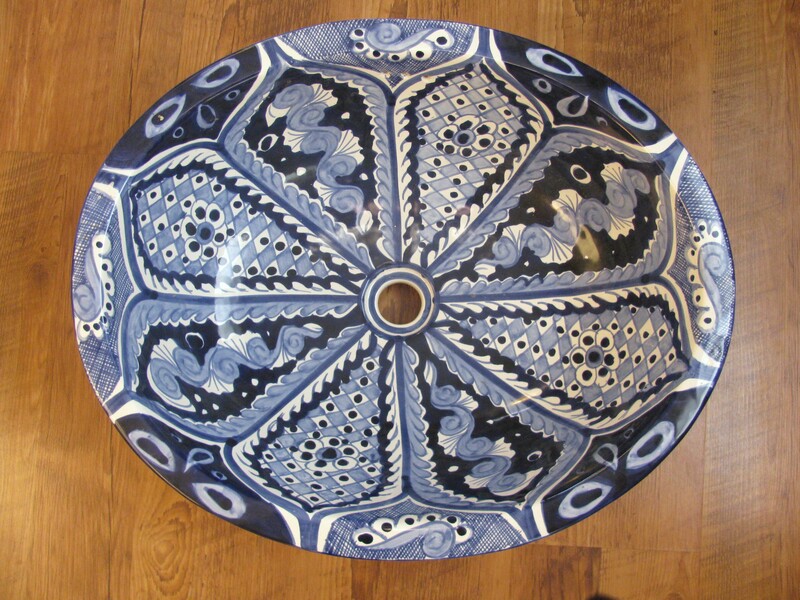 You have some great pieces to start your project with. I love your cross collection and what a great husband you have to pack that beautiful sink home for you. Can’t wait to see the end results! Thanks!! I’m excited to get this finally underway…I’ve been hording that sink for 2 years!